For his Pre-Fall 2014 collection for Chanel, Karl Lagerfeld brought fashionistas deep in the heart of Texas to say “Howdy”, dress-up cowboys, redefine the prairie look and pay homage to Native Americans. Unveiled December 11, 2013, in the middle of an ice storm in Dallas, which usually have a balmy winter, the collection and the show was very important that top editors from New York, London, Milan and Paris ignored the inconvenience of cancelled flights just to attend the show. And it is not an ordinary show beginning with the venue. It was held at Fair Park, the same sprawling venue that is home to the State Fair of Texas and the Cotton Bowl. 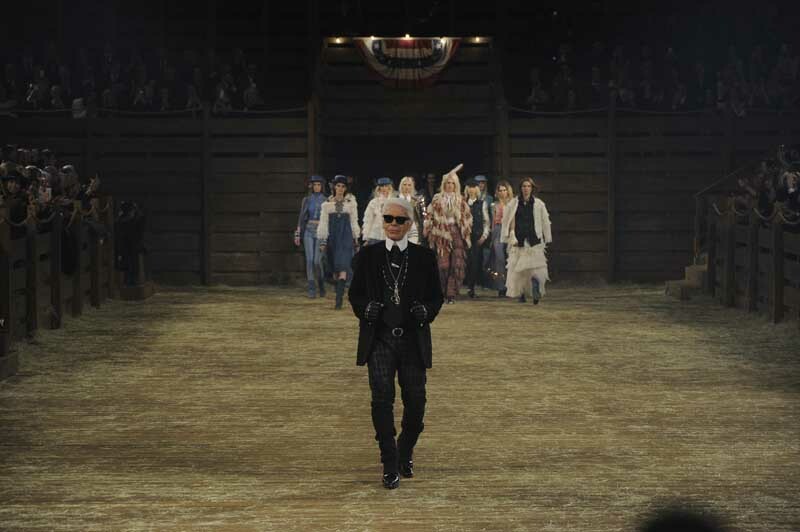 To hold the Chanel Pre-Fall 2014 runway show, Karl Lagerfeld leased the whole of Fair Park! So, though the whole presentation only used the Automobile Building (for the Chanel movie) and the Centennial Hall for the runway show, the 277-acre complex was only open to Chanel’s invited guests.